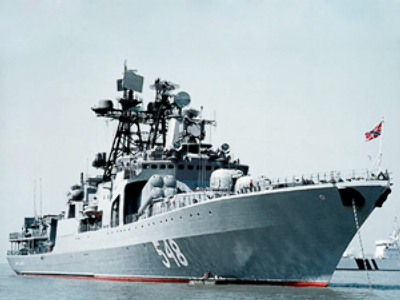 Russian anti-submarine destroyer “Admiral Vinogradov” has defended a Dutch container ship from a Somali pirate attack in the Gulf of Aden. 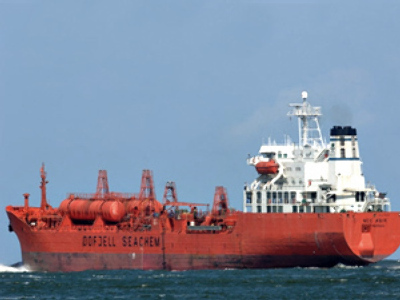 The captain of the Dutch vessel sent a distress signal to the Russian ship saying that pirate boats were approaching his ship and shooting at it, Russian Navy spokesman Igor Dygalo informed. The crew of the Admiral Vinogradov raised the alarm, dispatched a helicopter and the Dutch ship was asked to speed up and dramatically cast about. Pirates made an attempt to board the Dutch ship, but the Russian crew fired warning shots from the helicopter, forcing the pirates to halt. One of the three boats was stopped and two others were seized by the crew of the Admiral Vinogradov. The ship’s doctor gave the necessary medical assistance to three pirates who were wounded by ricochet fire. “The pirates didn’t seem to feel the pain from the wounds, which can be a result of the fact that they were under the influence of drugs,” Igor Dygalo said. The boats manned by the pirates were handed over to Yemeni coast guards. The Admiral Vinogradov is patrolling Somali waters to help maintain security in the area that is threatened with frequent raids by the pirates.